Standalone products are on the way out at Microsoft. Microsoft chief executive Satya Nadella revealed Thursday that he hopes to strike a number of “annuity relationships” with both consumers and businesses alike, asking them to pay subscriptions rather than one-time fees. Microsoft reported mixed results for the first calendar quarter of 2015. Soaring sales in Office 365 and its Surface business helped Microsoft grow revenue. 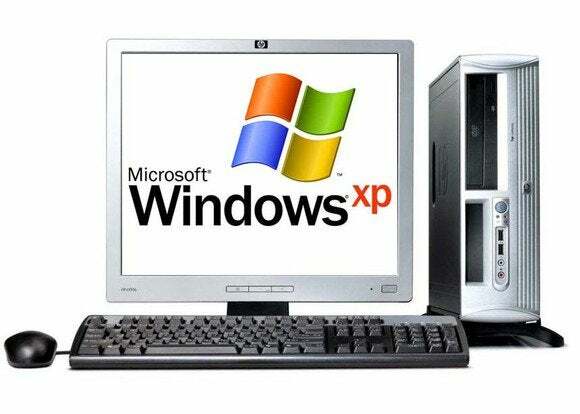 Windows sales dipped, however, as the PC industry moved past the Windows XP refresh cycle. Specifically, Microsoft reported revenue $20.4 billion, up 6 percent from the year prior. The company's net income of $4.99 billion, however, represents a drop of 11.9 percent from the same quarter a year ago. Analysts polled by Yahoo expected earnings of 63 cents per share, versus the 68 cents per share Microsoft actually recorded, and revenue of $21.06 billion. Why this matters: Next week, Microsoft will host its Build developer conference, where it will bring together thousands of developers to convince them to continue developing for the Microsoft platform. It’s fortunate for Microsoft that some of its tentpole services—Office 365, Xbox Live, and even Bing—are all showing signs of success. It’s also noteworthy that several of these are subscription-driven: a stable, year-in, year-out model that can help Microsoft weather the ups and downs of demand. Microsoft’s Devices and Consumer business grew by 8 percent in revenue to $9 billion, and its Commercial business increased 5 percent to $12.8 billion. Overall, it was the commercial cloud that saw the most success, as revenue climbed a whopping 106 percent, driven by Office 365, Azure and the company’s DynamicsCRM business. Still, Microsoft saw lower transactional revenue across Office, Windows Server and Windows, driven by a weakness in Japan and a decline in business following the end of Windows XP. Microsoft said it saw a significant drop in Windows sales, somewhat due to the winding-down of the Windows XP upgrade cycle for businesses and individuals. Windows OEM Pro sales dropped by 19 percent, and Windows OEM non-Pro revenue declined 26 percent. Microsoft’s Office productivity juggernaut also saw major shifts from legacy packages to the newer subscription model. Commercial Office licensing fell by 2 percent because of the Windows XP transition. Standalone Office suite revenue dropped 41 percent. Microsoft estimated that 27 percentage points of that swing was attributable to a customer shift to Office 365. Nadella said that Office 365 currently had 12.4 million subscribers, growing sequentially by 34 percent. “There’s a secular movement that’s happening...more to an annuity relationship as well as a subscription relationship. These are the long-term relationships we want to have with all customers,” Nadella said. Nadella also said that he would describe in more detail his plans for "Office as a platform" next week at the Build event. And those subscription plans don't exclude Windows either. Microsoft has indicated previously that it will offer Windows as a service. Nadella hinted that consumers will hear more details next week. “There will be an increasing emphasis on the lifetime value that we can deliver to customers,” he said. Surface revenue also climbed a whopping 44 percent to $713 million, driven by Surface Pro 3, Microsoft said. On the other hand, Xbox hardware revenue dipped 24 percent year over year, a tough comparison given that the Xbox One launched just over a year ago. 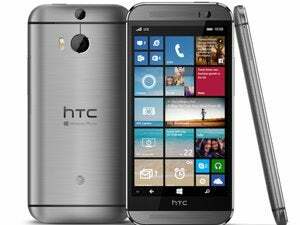 Microsoft sold 8.6 million Lumia smartphones, an 18 percent boost compared to a year ago. Even Bing continued to show growth, breaking 20 percent for the first time. “I see real monetization of all of our services,” Nadella said.